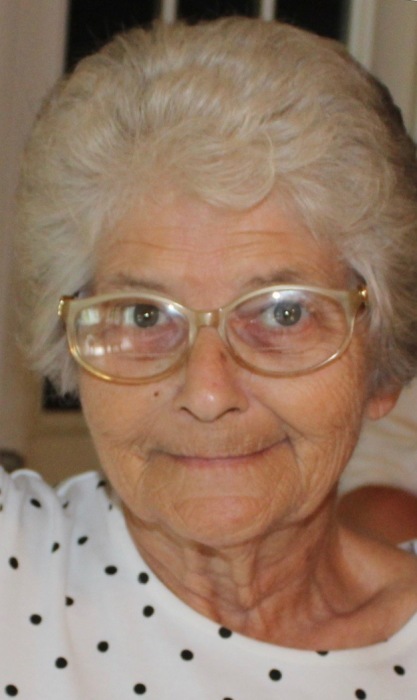 Carol Peterson passed away on January 13, 2019, with her family by her side. Carol was born on October 13, 1945 in New London, Connecticut and relocated to Florida where she raised her family with her husband, Tommy. Survivors include; daughter, Lynn (Josh) McKibben of DeLand; son, Tom (Shannon) Peterson of DeLand; grandchildren, Ereca (Cory) Smith of DeLand, Drew Cohen of DeLand, Elissa Cohen (fiancé) Colton Barker of DeLand and Waylon Peterson of DeLand; sister, Cathy Copeland Wozniak (Ron) of Whitmore Lakes, Michigan; adopted son, David Skelton of Reform, Alabama; adopted daughter, Connie Rogers of Bruce, Mississippi and several nieces and nephews. She is preceded in death by her husband, Tommy and her son, Andy Peterson, her parents James and Zena O’Brien. Carol was the administrative assistant for Pierson Supply and co-owner of Peterson and Sons ferneries for several years. She loved horse racing, NASCAR, going to Biloxi and her dog Junior. Spending time with all of her grandchildren was how she enjoyed her time and was very proud of their accomplishments. Carol was a lifetime member of Emporia Baptist Church. A loving wife, mother, aunt and grandmother, Carol will be missed every day. A Memorial Service will be held at the Emporia Baptist Church, Saturday, January 26, 2019 at 11:00 a.m. Family and friends are welcomed afterwards for lunch.